Rhode Island Product Liability | "Toyota's Product Liability Issues"
This Product Liability Law Article concerning Toyota Product Liability was authored by Roman Mosqueda, S. J.D. 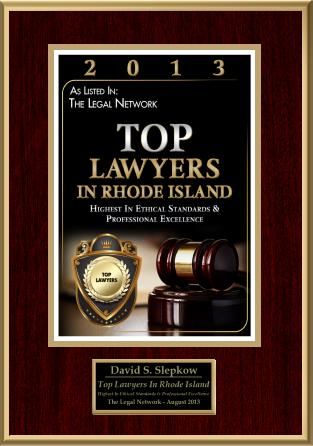 This article was reviewed by Rhode Island Personal Injury Attorney, David Slepkow 401-437-1100. Toyota Motor Corporation’s product liability for unintended acceleration and braking problems, which has reportedly led to 10 million recalls and counting, would eventually be found to be manufacturing and/or design safety defects. From the reported accounts of several accidents involving sudden acceleration and brake failure, the safety defects may, hopefully for Toyota, be limited to accelerator-pedal trapping floor mats, sticking accelerator pedals, and inconsistent anti-lock brake systems (ABS), and not include defective electronic throttle control systems (ETCS) or stirring systems, on Corollas, Camrys, and other Toyota models. Toyota’s global recalls have included Prius and Lexus hybrids, which indicate that the safety defects related to unintended acceleration and braking problems are systemic in nature. Indeed, Toyota dealers nationwide have reportedly begun fixing accelerator pedals on recalled vehicles by installing a precision-cut reinforcement bar into the accelerator pedal assembly to eliminate the excess friction that has caused pedals to stick on occasions. Dealers will also place reconfigured accelerator pedals and newly-designed floor mats on affected models to remedy floor mat pedal entrapment, and remedy the inconsistent brake feel of the anti-lock system (ABS) in 2010 Prious. The manufacturing process of a product consists of the formation, assembly, adjustment, combination, or processing of raw materials or ingredients according to the product design, per CCH, I Products Liability Reporter, Section 4785. Thus, manufacturing defects may arise from improper formation, faulty assembly or adjustment, incorrect composition, or defective raw materials or component parts. In one of the early Firestone cases filed by this Author in August 1999, with the Superior Court of Los Angeles County, the left rear tire of the injured family’s Ford Explorer, a 1994 Firestone Radial ATX, had its tread along with one steel ply coming off completely all the way around the tire. It caused the 1995 Ford Explorer running at 65 miles per hour on US 101 Freeway in Solvang County, Santa Barbara, California to run out of control and overturn, injuring a couple and their two minor daughters in a nonfatal accident in August 1998. That case exemplified the manufacturing defect of incorrect composition or defective bonding materials. The designing of a product consists of the selection of materials and their intended construction as to size, shape, inclusion, and arrangement of component parts, per CCH, I Products Liability Reporter, Section 4745. Thus, defects in design may take the forms of inadequacies in the plans or specifications, in the choice of materials for the product composition, or in the absence of safety devices or features. Toyota’s installation of a precision-cut reinforcement bar into the accelerator pedal assembly is a design safety device to remedy sudden acceleration. And its reconfiguration of the shape of the accelerator pedal and newly-designed floor mats are likewise design remedies to avoid floor mat pedal entrapment. Moreover, the installation of a brake override system is another design safety feature. The placement of fuel tanks close to the rear bumpers in Ford’s Pintos in the 1970’s, which in a 1978 case in Orange County, California, caused the gas tank to explode in a rear-end collision, exemplified the design defect of inadequate plans or specifications. Defective vehicle design was also at issue in the January 2002 roll-overs of a 1997 Ford Explorer SUV, which left a mother of two paralyzed from the waist down when the Explorer’s roof caved in. The San Diego jury found that Ford knew that the Explorer had design defects that increased its propensity to tip over, as well as its inadequate roof strength. The U.S. Supreme Court let stand the $82.6 million award to the paralyzed California women, which included $55 million in punitive damages. A vehicle recall is an admission of a defect or defects, whether manufacturing or design or both. Hopefully, the recall of Toyota vehicles would cure the defects. And Toyota would be liable only for the reduction in value and loss of use of the vehicle while being fixed. Otherwise, it may be liable also for punitive damages if it knew the defects all along. For accident cases resulting in bodily injuries or deaths for sudden acceleration and failure of the brakes, the plaintiffs need to prove by a preponderance of the evidence either manufacturing or design or both defects through reconstruction and automotive experts. Toyota Motor Corporation through their own experts will need to prove lack of defects or lack of causation for the injuries or death, that is, the loss of control of the Toyota vehicle was due to driver error. The jury and the appeal courts in case of appeals from the jury award or defense verdict will decide the outcome. Our adversarial system of deciding legal disputes in courts would hopefully do justice to whom it is due. 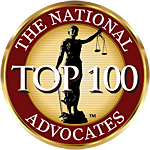 Atty Roman P. Mosqueda is a graduate from Michigan Law School with both a Doctorate of Law and LLM. The Law Offices of Roman P. Mosqueda are a full service law firm that handles all types of cases such as divorce, immigration, bankruptcy, personal injury, and more. 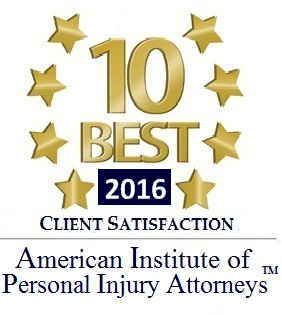 Call (213) 252 – 9481 for a free consultation today! Visit http://www.MosquedaLaw.com for more free articles written by Attorney Mosqueda and more information about his offices.